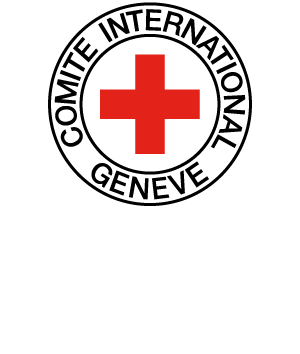 INTRODUCTORY TEXT: Armed forces and armed groups have the primary responsibility in ensuring that IHL is complied with, and that breaches committed by their members are repressed. This case discusses a specific incident in which a wounded Palestinian assailant was shot and killed by an Israeli soldier, who was subsequently held accountable for his actions. JERUSALEM — The Israeli military said on Thursday that it had detained a soldier who shot a Palestinian assailant in the head as he lay motionless on the ground, an incident that drew outrage on social media networks and was condemned even by a military spokesman as “a grave breach” of the army’s values and standards. Later, graphic video footage emerged showing a soldier cocking his rifle and shooting one of the Palestinians for a second time as he lay on the road, after more than a minute in which other soldiers and an Israeli ambulance crew milled about in what appears as a calm, secure scene. Military officials said that the investigation began based on a report from the commander in the field, before the video surfaced and then rocketed around the Internet. The incident was the latest in a series that have fueled outrage among Palestinians and their supporters at what they see as Israel’s excessive force in responding to the wave of stabbings, shootings and vehicular attacks that began in October. Human-rights groups and others have accused Israeli security forces of shooting to kill even in instances like Thursday’s, where the assailants did not appear to pose any imminent threat. The video of the Hebron shooting was made by a Palestinian volunteer for B’tselem. The Palestinian who was shot for a second time was identified as Abed al-Fatah al-Sharif, 21. Video images appeared to show Mr. Sharif rolling his head from one side to the other about 90 seconds before he was shot again, suggesting he was alive. 3. The report is based primarily on written submissions as well as consultations with civil society representatives, victims, witnesses, Palestinian government officials, and United Nations representatives held in Amman, Jordan during the Special Rapporteur’s first mission to the region in July 2016. 4. The mandate of the Special Rapporteur, as set out by the Commission on Human Rights, is to investigate Israel’s violations of the principles and bases of international law, international humanitarian law and the Geneva Convention relative to the Protection of Civilian Persons in Time of War, of 12 August 1949, in the Palestinian territories occupied by Israel since 1967. With this in mind, the present report focuses on the violations committed by Israel in the context of nearly 50 years of occupation. Israel, as the Occupying Power, has a responsibility to ensure the respect for and protection of the rights of Palestinians within its control. The mandate of the Special Rapporteur thus focuses on the responsibilities of the Occupying Power, although he notes that human rights violations by any State party or non-state organization are deplorable and will only hinder the prospects for peace. 9. A series of worrying events and trends have emerged since the upsurge in violence that began in October 2015 in the West Bank, including East Jerusalem. During the escalation of violence, more than 230 Palestinians and at least 32 Israelis were killed over the course of 2015 and 2016 in the context of demonstrations by Palestinians, as well as Palestinian attacks or alleged attacks, and the often lethal response of the Israeli security forces. While the number of violent incidents has declined in recent months, the continued use of administrative detention, punitive demolitions, movement restrictions and other measures continue to negatively affect the human rights of the Palestinian people on a continuous basis. 10. Violent attacks of any kind by anyone are unacceptable. The fact that the attacks and alleged attacks by Palestinians against Israelis are, not infrequently, responded to with disproportionate and deadly force only compounds the violence. Many of the attacks and alleged attacks have been committed by minors, which is particularly worrying because of the hopelessness it seems to represent. In a striking number of meetings over the course of the Special Rapporteur’s mission, those working in the Occupied Palestinian Territory consistently noted a sense of desolation and desperation among children manifesting itself not only in violent outbursts but also in psychological and physical ailments such as bed-wetting, anxiety and depression. The plight of children is often a barometer for the gravity of a situation. Sadly, in the present circumstances, children born today in the Occupied Palestinian Territory do not enjoy hope for a peaceful future. 11. The number of casualties of the escalation in violence witnessed in 2015 was the highest in the West Bank since 2005 among both Israelis and Palestinians. The large majority of those killed have been Palestinians —often as a result of disproportionate use of deadly force by Israeli security forces. According to civil society representatives, of those killed in the West Bank between October 2015 and January 2016, 88 were Palestinians whom the Israeli authorities suspected were responsible for attacks or attempted attacks. Two concerns arise with respect to these cases. First, that they occurred at all —that lethal force is used so often, and frequently without justification. Second, the fact that, in a majority of cases in which a member of the Israeli security forces used lethal force, no investigation was conducted or if an investigation was conducted, it was closed without any action being taken against the perpetrator. 12. In several documented cases, it is clear those killed had not posed the level of threat that, according to international standards, would merit the use of deadly force. According to the Basic Principles on the Use of Force and Firearms by Law Enforcement Officials, weapons and lethal force should be used only as a last resort. Human rights organizations have documented a number of cases in which it is clear that this threshold was not met. 13. One of the most emblematic examples, widely reported in the media, is the killing of Abd al-Fatah al-Sharif in Hebron on 24 March 2016. Al-Sharif allegedly stabbed and wounded an Israeli soldier, and was later shot and killed by an Israeli soldier while lying immobile and wounded on the ground. The incident was caught on video, and the footage, which was shared on YouTube by the Israeli human rights organization B’Tselem, made international headlines. The Special Rapporteur on extrajudicial, arbitrary or summary executions noted that, “the images shown carry all the signs of a clear case of an extrajudicial execution”. 14. This is only one example of what appears to be an alarming trend. As noted in a statement by the spokesperson for the United Nations High Commissioner for Human Rights, “this is not the first incident to be captured on video that raises concerns of excessive use of force”. These few visually documented cases do not represent the true scale of the problem. Further, the recently publicized Israeli open-fire regulations, updated in December 2015, lower the threshold for use of deadly force to a level that is in contravention of international standards. The Basic Principles on the Use of Force and Firearms specify that firearms should be used only in cases of “imminent threat of death or serious injury”, while the new open-fire regulations allow the use of live ammunition against an individual who “appears to be throwing or is about to throw” firebombs, fireworks or stones. This change suggests that the government seeks to create an environment in which use of deadly force is questioned less and accepted more. Under such conditions, the use of excessive force is likely to occur with greater frequency. 15. Further compounding the problem is the fact that in a majority of the cases, there has been little attempt to establish accountability. Between October 2015 and June 2016, the Israeli authorities opened 24 criminal investigations into incidents in which Israeli security forces’ actions led to the injury or death of Palestinians. So far, only the killing of Abd al-Fatah al-Sharif in Hebron has resulted in the indictment and prosecution of a soldier. The trial is ongoing and Israel’s Defense Minister, Avigdor Lieberman, reportedly said, in relation to the case, that Israel “… cannot reach a situation where a soldier must ask for a lawyer before going on a mission” and emphasized that individuals are innocent until proven guilty. Such statements implicitly encourage leniency for soldiers who use deadly force against individuals, which undermines efforts to ensure accountability. 16. The problem of the lack of accountability is far from new. One striking recent illustration of this fact is the announcement by the human rights organization B’Tselem in May 2016 that it will no longer engage with Israel’s military law enforcement mechanism. The organization came to the conclusion, after 25 years of work, that “there is no longer any point in pursuing justice and defending human rights by working with a system whose real function is measured by its ability to continue to successfully cover up unlawful acts and protect perpetrators”. B’Tselem noted that, of 739 cases the organization filed with the Military Advocate General since 1989, no investigation had been launched in 182 cases, while in nearly half the cases (343), the investigation was closed with no further action. In the course of 25 years, only 25 cases led to charges being brought against implicated soldiers. In early 2015, the human rights organization Yesh Din published statistics related to indictments in 2014, noting that only 8 out of 229 investigations opened in 2014 resulted in indictments, and that in 2013 there were 199 investigations, which led to 9 indictments. Yesh Din, in interpreting the data, noted that it “reveals the deep, ongoing failure to conduct exhaustive investigations that lead to indictments. The result is near impunity from prosecution for IDF soldiers …”. 17. The lack of accountability is a systemic and deeply ingrained issue. It helps to perpetuate a cycle of continued violence, as soldiers appear to act with impunity, with the message being sent that Palestinian lives do not matter, while the Palestinian population becomes both more fearful and more desperate. This memorandum sets out some of Amnesty International’s concerns about the use of lethal force by the Israeli army, Border Police, Israel Police and private security guards over the period from 22 September 2015 until 6 September 2016. It provides details of 20 cases of evidently unlawful killings of Palestinians, including 15 possible extrajudicial executions, carried out by Israeli forces, and seeks clarification about the investigations carried out by the Israeli authorities into these killings and the policies governing the use of lethal force by Israeli forces. Over the past year, Amnesty International has continued its work to promote human rights in Israel and the Occupied Palestinian Territories (OPT) against the background of a sharp increase in the levels of violence. As an impartial organization committed to human rights for all, we have been vocal and active in condemning attacks by Palestinian armed groups and individuals against Israeli civilians. Such attacks can never be justified, and Amnesty International has been consistent and clear on this matter. In the face of such attacks, however, the conduct of Israeli forces is bound by Israel’s obligations under international law, in particular as regards upholding the right to life and security of person. Especially relevant are international standards on the use of force by law enforcement officials. Where evidence exists that lethal force has been used unnecessarily or disproportionately – and that therefore the resulting death is an unlawful killing – the Israeli authorities are required by international human rights standards to conduct prompt, independent, impartial, thorough, effective and transparent investigations. Since 1 October 2015, Israeli forces have killed more than 200 Palestinians in Israel and the OPT. Most of these killings – more than 150 of them – came during alleged, attempted, or actual attacks by Palestinian individuals against Israeli soldiers, police and civilians. In the same period, Palestinians have killed 35 Israelis and two foreign nationals in attacks in the same period, the majority of them civilians. While Israel has a duty to protect the people under its control, a number of actions carried out by Israeli forces appear to have violated Israel’s obligations under international law. […] Amnesty International and other human rights groups have documented a pattern of unlawful killings carried out by the Israeli forces in Israel and the OPT. These unlawful killings included cases – some of which are detailed below – where Israeli forces used intentional lethal force against Palestinians who were not, or were no longer, posing an imminent threat to the lives of Israeli soldiers, police or civilians. Other killings took place during the policing of protests in which stones, and occasionally firebombs, were thrown, but these incidents do not appear to have threatened the lives of the Israeli forces present, making the killings unlawful. what means, if any, are or will be available to complainants or alleged victims to challenge the findings or conclusions of these investigations. Abed al-Fatah al-Sharif, 21, and Ramzi Aziz Qasrawi, 21 were killed on 24 March 2016 in Hebron. Abed al-Fatah al-Sharif and Ramzi Aziz Qasrawi were shot after stabbing and wounding an Israeli soldier. An Israeli soldier was filmed by a volunteer cameraperson from B’Tselem shooting Abed al-Fatah al-Sharif in the head as he lay wounded on the ground. Witnesses to the incident interviewed by B’Tselem also allege that Ramzi Aziz Qasrawi was shot and killed while lying wounded. While an Israeli soldier has been indicted and is currently on trial for the manslaughter of Abed al-Fatah al-Sharif, no investigation has been launched into the killing of Ramzi Aziz Qasrawi as far as Amnesty International is aware. This second alleged extrajudicial execution should be urgently investigated. Haaretz reported on 25 March 2015 that three Israeli soldiers were reprimanded for their failure to provide medical aid to Abed al-Fatah al-Sharif and Ramzi Aziz Qasrawi. It is a basic duty under international law to provide medical aid to the wounded, and failure to do so – especially intentional failure – violates the prohibition on torture and other cruel, inhuman and degrading punishment. Failure to provide medical aid should therefore be investigated as a criminal offence. Despite a considerable amount of evidence of wrongdoing by Israeli forces, Amnesty International is only aware of one case in the past year in which a member of the Israeli forces has been indicted for their role in an unlawful killing. While we note the military’s prompt investigation and indictment of Elor Azaria, the soldier charged with manslaughter for the killing of Abed al-Fatah al-Sharif on 23 March 2016 in Hebron, in the OPT, this appears to be an exception. In so many other cases, including those detailed above, there is similarly compelling evidence of unlawful killings by Israeli forces that have either gone unpunished or have not been investigated. Amnesty International’s research shows that the military justice system consistently fails to deliver justice for Palestinian victims of unlawful killings and their families. Our 2014 report Trigger happy examined 19 cases in which Palestinians killed by Israeli forces did not appear to have been posing an imminent threat to life. In three cases there was evidence that they were victims of wilful killings, which are war crimes. As of July 2015 – the last date for which B’Tselem posted an update on pending military investigations, and two years after the most recent cases in the report – there had been an indictment in only one of the 19 cases. Six other investigations had been closed, eight others were still under review by the MAG [Military Advocate General], two were still being investigated, and there had been no investigations into two of the killings. Amnesty International has previously found that Israel’s military investigations are neither independent nor impartial. Amnesty International has a number of concerns regarding what appears to be a dilution of the policy of automatically investigating civilian deaths at the hands of the Israeli army in the occupied West Bank. The MAG wrote in March 2016 to the Association for Civil Rights in Israel (ACRI) that the policy in effect since 2011 – whereby every death of a Palestinian in the occupied West Bank that does not take place during combat is automatically investigated by the military police – was still in place. The MAG, writing to the Attorney General in 2011 to announce the change of policy instituting automatic investigations, had defined combat situations as those where fire is exchanged. However, the combat exemption to automatically opening investigations is apparently being applied more broadly. In Amnesty International’s view, however, an individual attack with a knife or a car should not be treated as combat taking place as part of an armed conflict. In cases where a criminal investigation is not automatically opened, one would only be launched by the MAG if the army’s own operational report found evidence of criminal wrongdoing, according to the MAG’s letter to ACRI. Amnesty International and other NGOs have long believed that the army’s own operational reports are not fit for the purpose of determining if criminal wrongdoing has taken place. In many of the incidents where lethal force has been used in response to alleged, attempted, or actual attacks, Amnesty International has found credible evidence of unlawful killings and extrajudicial executions. It is therefore not enough that the MAG is relying on the army’s own operational reports to determine if there is evidence of criminal wrongdoing. Israeli Border Police forces often operate under the command of the Israeli military in the OPT. Currently, responsibility for investigating killings carried out by Border Police under the military’s command lies with the Judea and Samaria district of the Israel Police. In the Turkel report [Report of the Turkel Commission, established by the Israeli government in June 2010 to investigate allegations of wrongdoing concerning Israel’s naval blockade of Gaza and particularly Israel’s actions in response to the flotilla that sought to break the blockade on 31 May 2010], the recommendation was made that these investigations should be transferred to the responsibility of the Military Police, because the current situation – where police are investigating police conduct – is not independent. However, the Ciechanover Committee [instructed to review and implement the recommendations made by the Turkel Commission] decided not to implement this recommendation, instead recommending a shared responsibility for investigating between the Mahash and the military. As far as Amnesty International is aware, however, this handover of responsibility has so far not taken place, and the Judea and Samaria police are still responsible for investigating the killings in the period that this memorandum covers. While killings by the army of Palestinians in the occupied West Bank outside of combat activity ostensibly necessitate the automatic opening of a criminal investigation into the incident, Amnesty International is not aware of a similar requirement for killings carried out by the Israel Police or Border Police. As the use of lethal force during non-combat operations is governed by the UN Basic Principles on the Use of Force and Firearms by Law Enforcement Officials, which represent a rigorous application of the right to life and are therefore binding, there is no reason why investigatory procedures should differ across the different areas over which Israeli authorities have jurisdiction. Amnesty International is concerned that the policies governing the use of lethal force by the Israeli army, police, Border Police and private security contractors are not sufficiently strict to meet Israel’s obligations under international law. As enumerated above, many of the instances of the use of lethal force by the Israeli army since October 2015 appear to have been unlawful, that is they have led to arbitrary deprivation of the right to life in violation, inter alia, of Article 6 of the International Covenant on Civil and Political Rights. These cases point to a regular failure to meet relevant international standards, in particular the UN Basic Principles on the Use of Force and Firearms by Law Enforcement Officials, which are an authoritative statement of how law enforcement officials should uphold human rights in policing. In the cases detailed above, intentional lethal force or lethal force was used when there was no imminent threat to life or without exhausting less lethal means of neutralizing a perceived threat. Such widespread, persistent failure to uphold the “protect-life” principle gives rise to concerns that the Israeli authorities are not properly training their forces in the use of lethal force, or that the policies governing its use are not strict enough. Although parts of the army’s open fire regulations have been made public either in the press or in the courts over recent years, the Israeli army has not published them in full. In September 2015 Prime Minister Netanyahu asked then Attorney General Yehuda Weinstein to approve the use of “Ruger” live fire against stone throwers in Jerusalem. This request was approved and the Israel police fired ammunition at Palestinians in Jerusalem over the weekend of 19-20 September. Its use was “effective” according to the Attorney General. The Prime Minister also acknowledged the use of ammunition in Jerusalem, telling a cabinet meeting on 20 September that, “already over the weekend [the police] used the new measures under the new orders and immediately hit those throwing stones and firebombs.” Yet on 22 September it was reported that the use of ammunition in Jerusalem would be suspended pending proper training of the police officers using the weapon. This raises serious questions about whether its use on 19-20 September was lawful, and follows a pattern in which the Israel police have introduced potentially lethal weapons without training their forces or setting out clear guidelines for their use, as was the case with their use of the black “sponge” bullets. Forces under the command of Israel Police resumed using live fire against stone throwers on 2 October, according to media reports. Yet the new open fire regulations were not distributed to the officers in the police until December 2015, which raises serious questions about the oversight of the police’s use of live fire in the intervening period. On 29 June 2016 the Israel Police published some sections of these updated open fire regulations in response to a court petition by the NGO Adalah. The published regulations raise serious concerns about the legality of the Israel Police’s use of lethal force. Under the UN Basic Principles on the Use of Force and Firearms by Law Enforcement Officials, firearms may only be used to in self-defence or defence of others against an imminent threat of death or serious injury if less extreme means are insufficient to neutralize that threat. While the throwing of stones, firebombs and fireworks may pose such a danger on rare occasions, the new open fire regulations appear to allow the use of live fire in all such situations as a first resort without consideration of the risks to the police or others. This blanket approval does not meet with the Israeli authorities’ obligations under international law. An Israeli soldier who executed a wounded Palestinian attacker has been sentenced to one and a half years in prison in a military trial that has deeply divided Israel. The sentence is lighter than the three to five years asked for by military prosecutors and significantly more lenient than the 20 years he could have faced. b. What is the legal regime applicable to this situation? Does the law of armed conflict apply? If so, who are the parties to the conflict? Is the law of international or non-international armed conflict applicable? Or rather, is International Human Rights Law (IHRL) applicable? c. Does international human rights law apply in occupied territories? Why/Why not? a. How do you determine whether the IHL conduct of hostilities paradigm or the IHRL law enforcement paradigm applies to a lethal use of force in an occupied territory? Does it matter that the event occurs in an occupied territory? Is the status of the target decisive? If the target is a civilian, does always IHRL apply except if the target is directly participating in hostilities? Is it possible to “directly participate in hostilities” if there are no hostilities occurring elsewhere? d. What was the right framework to apply to the incident discussed in this case? On what do you base your answer? Are there IHL rules on the use of force in a law enforcement operation? Does it matter whether the military or the police use lethal force? Could you argue that both IHL and IHRL apply concurrently? f. Did the killing of al-Sharif comply with either the requirements of the conduct of hostilities paradigm or the law enforcement paradigm? 3. (Document B, paras. 11 – 14) What does the UN Special Rapporteur seem to believe the relevant legal paradigm to apply in this situation should be? What evidence do you find in these paragraphs to support your answer? 4. (Document C, paras  and ) What does Amnesty International seem to believe the relevant legal paradigm to apply in this situation should be? What evidence do you find in these paragraphs to support your answer? 5. (Document C, para. -) What aspects of Israeli policy to use lethal force in these paragraphs do you find problematic? What legal framework are you using to analyse the policies? a. How do IHL and IHRL differ when it comes to investigating use of force that has led to loss of life? What are Amnesty International’s concerns about the military’s policy to investigate civilian deaths at the hands of the army? Do you agree? Why/Why not? d. (Document C, paras -), Document D) What do you think of the fact that Azaria was the only member of the Israeli forces indicted (and ultimately convicted) for the killing of a Palestinian as a result of the employment of excessive force? What do you make of Azaria’s conviction and the sentence issued in light of the broader accountability context? e. (Document C, paras -) What are Amnesty International’s concerns regarding civilian (not military) investigations into killings carried out by the Israel Police?